Situated amongst the numerous brand-new sky scrapers and newly generated Elephant & Castle neighbourhood, this attractive and cosy little wine bar fits in well. 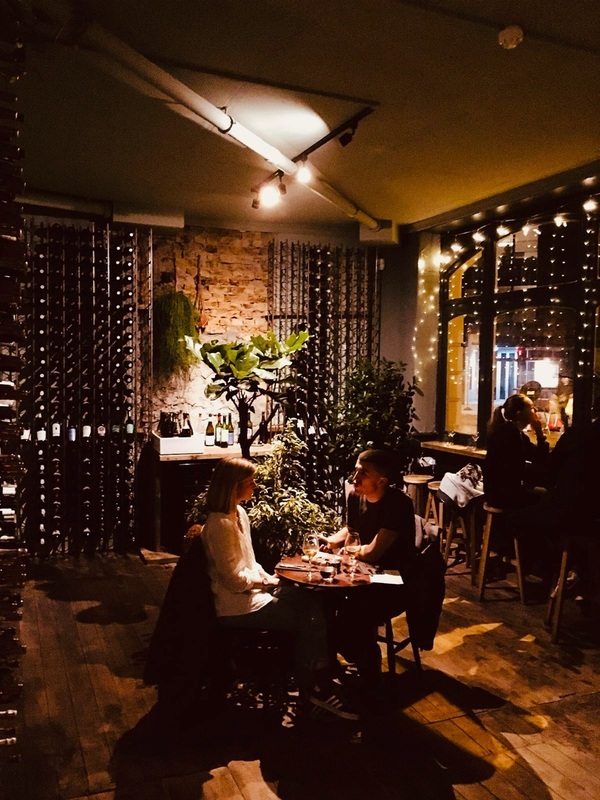 Serving a wide an unusual collection of delicious wines with a focus on interesting and emerging regions like Poland, Eastern Europe and some of the more uncommon American States such as Texas, its great fun trtying wines you may have never come across before. The contemporary interiors (Matt Blue/Grey) are comfortable, relaxing and homely, with individual tables dotted about creating a feeling of space and openness. Prices range from reasonable to top end and you can even buy a bottle or tweo of your favourites from the shop to take home. The food menu is limited to a small cheese and charcuterie selection (from the award-winning Cannon & Cannon restaurant and Deli in Brixton Village). Sophisticated, chic, stylish, relaxing and warm and friendly staff, what’s not to like?